Not Angry Birds, no please save us! This looks like a quick way to cash in before the name and game are forgotten or replaced by the next big thing. I think I’ll give this one a miss as I’m neither a fan of the game or the trailer. So that was the Angry Birds Movie trailer, are you looking forward to this? what really! Please let us know what you think of the trailers by leaving a comment below. Why not bookmark Popcorn Cinema Show and never miss a new release! 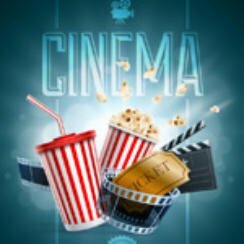 Check out the rest of the site we have reviews, trailers, new releases, Blu-ray deals and why not take one of our movie quizzes. Follow us via social media Facebook, Twitter, Google+, simply tap or click one of the social icons in the side bar.